Secreted Ectodomain of Sialic Acid-Binding Ig-Like Lectin-9 and MCP-1 Synergistically Regenerate Transected Rat Peripheral Nerves by Altering Macrophage Polarity. Kano, F., Matsubara, K., Ueda, M., Hibi, H. and Yamamoto, A.
p27(Kip1) and p21(Cip1)-independent proliferative inhibition of vascular smooth muscle cells cultured in type-I collagen matrix honeycombs. Uchida M, Suzuki S, Suzuki T, Ishii I.
Transplantation of neurons derived from human iPS cells cultured on collagen matrix into guinea-pig cochleae. Ishikawa M, Ohnishi H, Skerleva D, Sakamoto T, Yamamoto N, Hotta A, Ito J, Nakagawa T.
A 3D nanofibrous hydrogel and collagen sponge scaffold promotes locomotor functional recovery, spinal repair, and neuronal regeneration after complete transection of the spinal cord in adult rats. Kaneko A, Matsushita A, Sankai Y. Bone marrow stromal cells combined with a honeycomb collagen sponge facilitate neurite elongation in vitro and neural restoration in the hemisected rat spinal cord. Ukegawa M, Bhatt K, Hirai T, Kaburagi H, Sotome S, Wakabayashi Y, Ichinose S, Shinomiya K, Okawa A, Enomoto M.
Transplantation of schwann cells differentiated from adipose stem cells improves functional recovery in rat spinal cord injury. Zaminy A, Shokrgozar MA, Sadeghi Y, Norouzian M, Heidari MH, Piryaei A.
Mesenchymal stem cells as an alternative for Schwann cells in rat spinal cord injury. Zaminy A, Shokrgozar MA, Sadeghi Y, Noroozian M, Heidari MH, Piryaei A.
Three-Dimensional Geometry of Honeycomb Collagen Promotes Higher Beating Rate of Myocardial Cells in Culture. Guo Z, Iku S, Zheng X, Sammons RL, Kuboki Y. Correlation between antizyme 1 and differentiation of vascular smooth muscle cells cultured in honeycomb-like type-I collagen matrix. Ishii I, Suzuki T, Kaneko H, Uchida M, Suzuki Y, Higashi K, Yagi S, Ariyoshi N, Igarashi K, Kitada M.
Degradation of filamin induces contraction of vascular smooth muscle cells in type-I collagen matrix honeycombs. Uchida M, Ishii I, Hirata K, Yamamoto F, Tashiro K, Suzuki T, Nakayama Y, Ariyoshi N, Kitada M.
Growth inhibition and differentiation of cultured smooth muscle cells depend on cellular crossbridges across the tubular lumen of type I collagen matrix honeycombs. Suzuki T, Ishii I, Kotani A, Masuda M, Hirata K, Ueda M, Ogata T, Sakai T, Ariyoshi N, Kitada M.
The axonal regeneration across a honeycomb collagen sponge applied to the transected spinal cord. Fukushima K, Enomoto M,　Tomizawa S, Takahashi M, Wakabayashi Y, Itoh S, Kuboki Y, Shinomiya K.
Highly efficient and feeder-free production of subculturable vascular endothelial cells from primate embryonic stem cells. Saeki K, Yogiashi Y, Nakahara M, Nakamura N, Matsuyama S, Koyanagi A, Yagita H, Koyanagi M, Kondo Y, Yuo A.
Histological and functional analysis of vascular smooth muscle cells in a novel culture system with honeycomb-like structure. Ishii I, Tomizawa A, Kawachi H, Suzuki T, Kotani A, Koshushi I, Itoh H, Morisaki N, Bujo H, Saito Y, Ohmori S, Kitada M.
Mechanical properties and structure-function relationships of human chondrocyte-seeded cartilage constructs after in vitro culture. Middendorf, J. M., Griffin, D. J., Shortkroff, S., Dugopolski, C., Kennedy, S., Siemiatkoski, J., Cohen, I. and Bonassar, L. J. In Vitro Culture Increases Mechanical Stability of Human Tissue Engineered Cartilage Constructs by Prevention of Microscale Scaffold Buckling. Jill M. Middendorf, Sonya Shortkroff, Caroline Dugopolski, Stephen Kennedy, Joseph Siemiatkoski, Lena R. Bartell, Itai Cohen, Lawrence J. Bonassar. A Novel Regenerative Technique Combining Bone Morphogenetic Protein-2 With Fibroblast Growth Factor-2 for Circumferential Defects in Dog Incisors. Saito E, Saito A, Kato H, Shibukawa Y, Inoue S, Yuge F, Nakajima T, Takahashi T, Kawanami M.
Utility of T2 mapping and dGEMRIC for evaluation of cartilage repair after allograft chondrocyte implantation in a rabbit model. Endo J, Watanabe A, Sasho T, Yamaguchi S, Saito M, Akagi R, Muramatsu Y, Mukoyama S, Katsuragi J, Akatsu Y, Fukawa T, Okubo T, Osone F, Takahashi K.
Inflammatory response of intervertebral disc cells is reduced by fibrin sealant scaffold in vitro. Buser Z, Liu J, Thorne KJ, Coughlin D, Lotz JC. Application of dedifferentiated fat cells for periodontal tissue regeneration. Carbon nanotubes functionalized with fibroblast growth factor accelerate proliferation of bone marrow-derived stromal cells and bone formation. Hirata E, Ménard-Moyon C, Venturelli E, Takita H, Watari F, Bianco A, Yokoyama A. Human telomerase reverse transcriptase and glucose-regulated protein 78 increase the life span of articular chondrocytes and their repair potential. Sato M, Shin-Ya K, Lee JI, Ishihara M, Nagai T, Kaneshiro N, Mitani G, Tahara H, Mochida J.
Multiwalled carbon nanotube-coating of 3D collagen scaffolds for bone tissue engineering. Hirata E, Uo M, Takita H, Akasaka T, Watari F, Yokoyama A.
Calcified Honeycomb-shaped Collagen Maintains its Geometry in Vivo and Effectively Induces Vasculature and Osteogenesis. Yoshinori KUBOKI, Shouhei IKU, Ryota YOSHIMOTO, Tohru KAKU, Hiroko TAKITA, Dong LI, Yasuo KOKAI, Shunji YUNOKI, Rachel L. SAMMONS, Kazuhide OZEKI, and Teruo MIYATA. 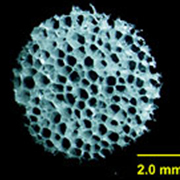 Bone tissue reaction of nano-hydroxyapatite/collagen composite at the early stage of implantation. Fukui N, Sato T, Kuboki Y, Aoki H.
Bone tissue engineering using human adipose-derived stem cells and honeycomb collagen scaffold. Kakudo N, Shimotsuma A, Miyake S, Kushida S, Kusumoto K.
Low-intensity pulsed ultrasound activates the phosphatidylinositol 3 kinase/Akt pathway and stimulates the growth of chondrocytes in three-dimensional cultures: a basic science study. 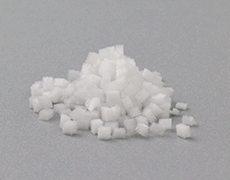 Takeuchi R, Ryo A, Komitsu N, Mikuni-Takagaki Y, Fukui A, Takagi Y, Shiraishi T, Morishita S, Yamazaki Y, Kumagai K, Aoki I, Saito T.
Markedly different effects of hyaluronic acid and chondroitin sulfate-A on the differentiation of human articular chondrocytes in micromass and 3-D honeycomb rotation cultures. Mechanism of bone induction by KUSA/A1 cells using atelocollagen honeycomb scaffold. 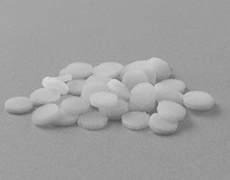 Hidetsugu T, Paola RA, Hitoshi N, Mehmet G, Jin LY, Borkosky SS, Liliana M, Noriyuki N.
Effects of growth factors on heparin-carrying polystyrene-coated atelocollagen scaffold for articular cartilage tissue engineering. Sato M, Ishihara M, Ishihara M, Kaneshiro N, Mitani G, Nagai T, Kutsuna T, Asazuma T, Kikuchi M, Mochida J.
Differentiation of mesenchymal stem cells into osteoblasts on honeycomb collagen scaffolds. George J, Kuboki Y, Miyata T.
Tissue engineering of articular cartilage with autologous cultured adipose tissue-derived stromal cells using atelocollagen honeycomb-shaped scaffold with a membrane sealing in rabbits. Masuoka K, Asazuma T, Hattori H, Yoshihara Y, Sato M, Matsumura K, Matsui T, Takase B, Nemoto K, Ishihara M.
Effects of vibration and hyaluronic acid on activation of three-dimensional cultured chondrocytes. Takeuchi R, Saito T, Ishikawa H, Takigami H, Dezawa M, Ide C, Itokazu Y, Ikeda M, Shiraishi T, Morishita S.
Efficacy of atelocollagen honeycomb scaffold in bone formation using KUSA/A1 cells. Rodriguez AP, Missana L, Nagatsuka H, Gunduz M, Tsujigiwa H, Rivera R, Nagai N.
An atelocollagen honeycomb-shaped scaffold with a membrane seal (ACHMS-scaffold) for the culture of annulus fibrosus cells from an intervertebral disc. Sato M, Asazuma T, Ishihara M, Kikuchi T, Masuoka K, Ichimura S, Kikuchi M, Kurita A, Fujikawa K.
Tissue engineering of the intervertebral disc with cultured annulus fibrosus cells using atelocollagen honeycomb-shaped scaffold with a membrane seal (ACHMS scaffold). Sato M, Kikuchi M, Ishihara M, Ishihara M, Asazuma T, Kikuchi T, Masuoka K, Hattori H, Fujikawa K.
Development of a cranium-infection rat model for artificial bone implantation. Inoue Y, Sakamoto Y, Ochiai H, Yoshimura Y, Okumoto T.
Biomed Res Clin Prac, 2016 Volume 1(1): 18-21. A three-dimensional collagen-sponge-based culture system coated with simplified recombinant fibronectin improves the function of a hepatocyte cell line. Cinnamtannin B-1 Promotes Migration of Mesenchymal Stem Cells and Accelerates Wound Healing in Mice. Fujita K, Kuge K, Ozawa N, Sahara S, Zaiki K, Nakaoji K, Hamada K, Takenaka Y, Tanahashi T, Tamai K, Kaneda Y, Maeda A. Red blood cell generation by three-dimensional aggregate cultivation of late erythroblasts. Lee E, Han SY, Choi HS, Chun B, Hwang B, Baek EJ. Mallotus philippinensis bark extracts promote preferential migration of mesenchymal stem cells and improve wound healing in mice. Furumoto T, Ozawa N, Inami Y, Toyoshima M, Fujita K, Zaiki K, Sahara S, Akita M, Kitamura K, Nakaoji K, Hamada K, Tamai K, Kaneda Y, Maeda A. 3D-fection: cell transfection within 3D scaffolds and hydrogels. Sapet C, Formosa C, Sicard F, Bertosio E, Zelphati O, Laurent N.
3D collagen scaffolds coated with multiwalled carbon nanotubes: initial cell attachment to internal surface. Hirata E, Uo M, Nodasaka Y, Takita H, Ushijima N, Akasaka T, Watari F, Yokoyama A.
Biodegradable honeycomb collagen scaffold for dermal tissue engineering. George J, Onodera J, Miyata T.
An experimental study of novel bioartificial materials applied to glycotechnology for tissue engineering. Megumi Hayashi, Yukio Sumi, Hirokazu Mizuno, Hideki Mizutani, Minoru Ueda, Ken-ichiro Hata. Materials Science and Engineering: C. Volume 24, Issue 3, 1 April 2004, Pages 447–455. Embryonic stem cell-derived embryoid bodies in three-dimensional culture system form hepatocyte-like cells in vitro and in vivo. 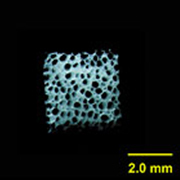 Imamura T, Cui L, Teng R, Johkura K, Okouchi Y, Asanuma K, Ogiwara N, Sasaki K.
A honeycomb collagen carrier for cell culture as a tissue engineering scaffold. Itoh H, Aso Y, Furuse M, Noishiki Y, Miyata T.
Development of composite cultured oral mucosa utilizing collagen sponge matrix and contracted collagen gel: a preliminary study for clinical applications. Moriyama T, Asahina I, Ishii M, Oda M, Ishii Y, Enomoto S.
Arg-gingipain a DNA vaccine induces protective immunity against infection by Porphyromonas gingivalis in a murine model. Yonezawa H, Ishihara K, Okuda K.